We made tracks this morning. The stated goal was to make tracks large enough to be seen from space. Tell the boys that they are the, ahem, Track Masters. My feet hurt just looking at that picture. What I have to look forward to! And special thanks to Clancy for reminding me of that old post. 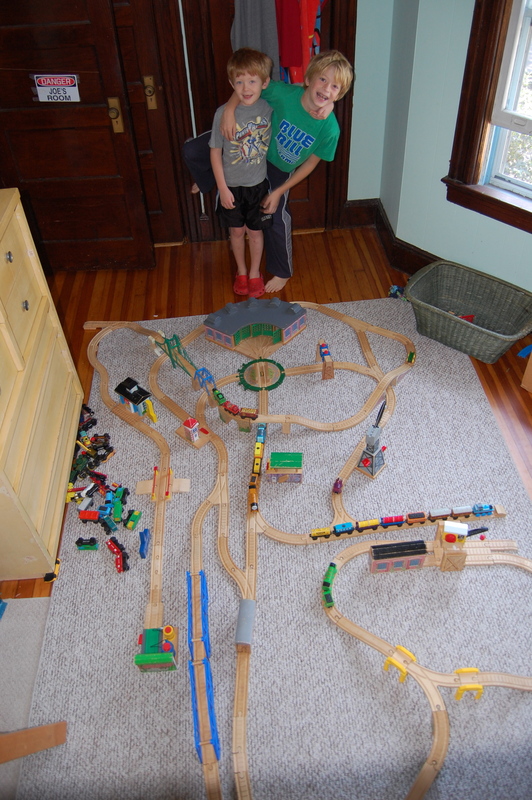 The boys are basically done with their Thomas phase. We brought the tracks out for old time sake. 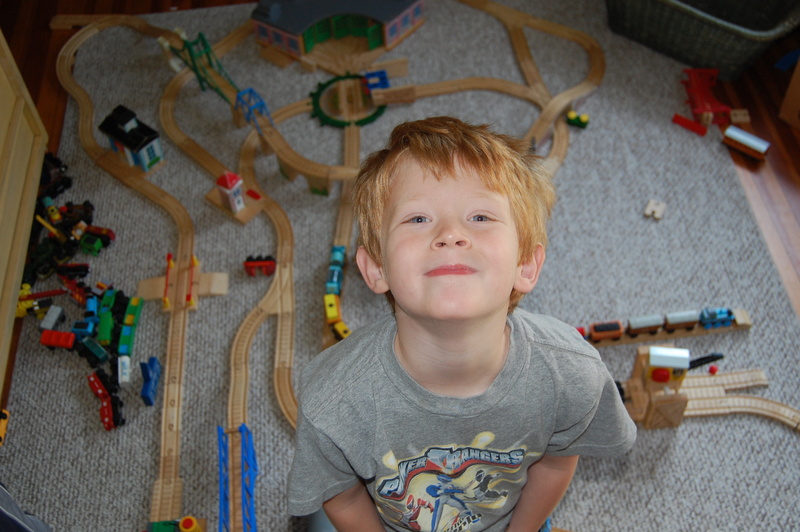 Make sure you enjoy every second of Henry’s time with trains. When they start lobbying for a bigger basement, be ready.